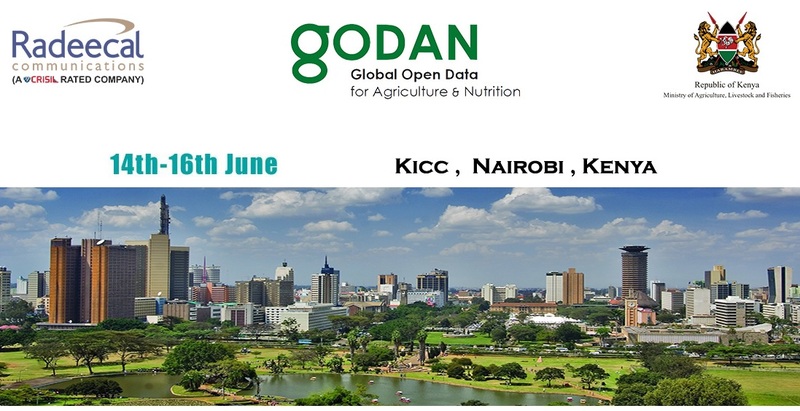 During the Summit the Cabinet Secretary accepted a call by GODAN to champion the principles of collaboration and use of open data for agriculture and nutrition within the G77 and its support for the Comprehensive Agreement on Agriculture and Comprehensive Africa Agriculture Development Programme (CAADP) in Africa. Agriculture has an inert potential for transforming economies in the global south. It holds the key to rapid job creation, improved health and livelihoods for majority of the world’s poor. The sector however suffers from inadequate resourcing and capacity. While acknowledging that resources is not the only panacea for the challenges in Agriculture, adequate financing for agriculture remains a viable investment for food and human security and improved livelihoods for farmers. The sector however has been making strides in adopting innovations and new practices to increase productivity, reduce cost of food consumers and increase revenue for farmers. More specifically, agribusiness and agri-preneurship that leverage on technology such as mobile telephony and the internet is already taking root. While the agricultural sector is creating new jobs and opportunities for employment, it requires accurate, accessible and usable data to scale-up this potential. The use of data for decision-making and action for agricultural growth however, remains elusive. This is because available data remains largely inaccessible to players along the Agricultural value chains: including farmers, processors, traders and consumers. The Ministerial conference seeks to mobilize high level political support to ensure availability, accessibility and usability of data for agricultural planning and decisionmaking in the global south. 6. Facilitate networking and to showcase proven initiatives on open data for agricultural transformation. youth organisations, research networks and development practitioners, the United Nations and multilateral institutions especially the African Development Bank (AfDB), UN Economic Commissions for Africa, Asia and Latin America, the African Union Commission, Africa’s Regional Economic Communities (RECs) and international organizations. • Increased use of open data for agriculture and nutrition from participating countries.